Proving that they have an uncanny ability to generate rumors, Apple is once again in the headlines with claims that Foxconn is in the trial production stage of manufacturing Cupertino’s television set. The iTV is reportedly being built at the Fuji Kang Longhua factory in Shenzhen according to informed sources as reported by China Business News. Apple Insider points out that production runs like this result in a small number of products being manufactured for the sole purpose of quality control testing and design verification. General production is still expected to take place later this year. 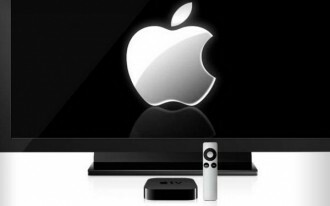 This isn’t the first we have heard that Apple’s iTV is heading to manufacturing. Earlier this month Foxconn chief Terry Gou reportedly said during a press conference that his company was preparing facilities to build the long-rumored television set although manufacturing had not yet started. Foxconn issued a statement denying the claims just days later, saying that Gou at no time confirmed that Foxconn was developing or manufacturing any product for any customer. The whole thing, according to Foxconn, was a misquote. Piper Jaffray analyst Gene Munster would like to believe the latest rumor as it would back up his research note from late last week. In the note, Munster said he believes that Apple will introduce their television set in December and ship it sometime next year. He expects the set to cost between $1,500 and $2,000 with sizes ranging from 42-inch to 55-inch.